We’ve been told there is no try, only do or not do (thanks, Yoda), and there is truth to this. 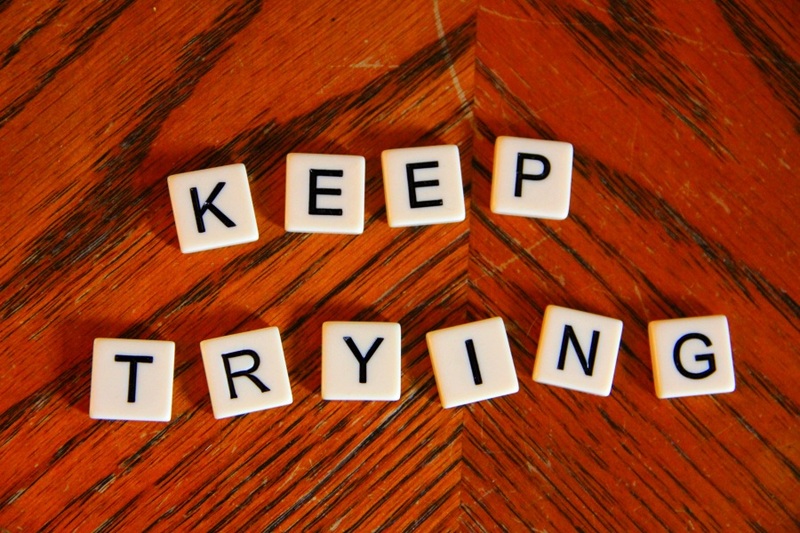 Saying we are “trying” has a different energy than saying we are “doing.” Trying implies tentativeness and brings with it the possibility of failure. Doing, on the other hand, brings with it a fullness of commitment, a level of engagement and YES that says it WILL happen. And yet, there is a paradox here. How many of us (or our clients) make it all the way to any sort of lasting change on the first try? We try, we fail, we try again. And sometimes we give up, saying, “I’ll never get it, there is no point in trying.” And that, my friends, can be simply wrong. Because the brain actually loves the try. Each time we focus our attention on what we want, we engage in positive neuroplasticity (simply put, neuroplasticity refers to the brain’s ability to rewire and change. See My Best Neuroscience Argument for Coaching for more on neuroplasticity). With focused attention over time, we can create and reinforce new neural pathways, locking in patterns and behaviors that are more effective than some of our old habits. In our advanced coaching course, we explore what is needed to create new patterns for our clients (and ourselves, of course!) Recently, one of our students had the insight that the process of trying is a key part of changing the brain, and should be honored as such. We tend to focus on the fact that we failed, rather than that we did, perhaps, do something towards being able to change at some point. When a new neural connection is made — for example, we commit to a new habit (in this student’s case, it was healthier eating), there then exists the potential for a new neural pathway (actually many neural connections would be involved in something like a change in diet, but for simplicity’s sake we’ll pretend there is one “healthy eating” pathway). Think of this like a channel in a river. Our dominant pathways are where the energy naturally wants to flow. The more well-used the neural pathway, the more habitual the behavior. When we create a new potential pathway, that’s all there is–potential. Then, each time we use this pathway, a process called “myelination” occurs. Myelin is a fatty coating around the axon of a neuron. The more myelinated the pathway, the stronger it is. 9/30/13 update: it turns out that myelination does not play as big a role in neuroplasticity as I thought. Instead, let me quote Norman Doidge (The Brain That Changes Itself ) “When two neurons fire together (or when one fires, causing the other to fire), chemical changes occur in both, so that the two tend to connect more strongly.” It’s not the myelin coating that creates the strong neural pathway, it is the firing itself. And neural pathways that get used a lot tend to be in a state of readiness to fire, their connections strengthening with usage over time. Myelin is not completely out of the picture though. Myelination is part of what creates dominant neural pathways such as those for language. The developing brain has a LOT of myelination going on. And the more myelinated the pathway, the more efficient the impulse is, because myelin is like insulation around a bundle of electrical wires. The more insulated, the more efficient, because less of the electrical impulse gets lost along the way. There is some evidence that myelination continues into adulthood and is thus part of the process of developing mastery and expertise. But other aspects of neuroplasticity also play a role. For example, with practice, we use fewer neurons to do tasks than we do at the beginning, focusing and specializing our efforts and leaving more of the brain available for other things. Also, the more sensory input we can associate with a certain habit or behavior, the stronger the pathways for that habit will be. So next time you “fail,” whether it be on a diet, a commitment to turning off your cell phone, or keeping your cool in a difficult meeting, don’t be too hard on yourself. Old habits are well-entrenched neural pathways, and they don’t usually change overnight. Instead, remember what our student so wisely said “try is how you do,” and get up, dust yourself off and send more attention down the pathway you want to empower. Sooner or later, it will take over and become dominant. As a single footstep will not make a path on the earth, so a single thought will not make a pathways in the mind. To make a deep physical path, we walk again and again. To make a deep mental path, we must think over and over the kind of thoughts we wish to dominate our lives. And don’t worry if you end up on the wrong path — it’s normal. The other path is waiting for you, and you can walk it at any time. 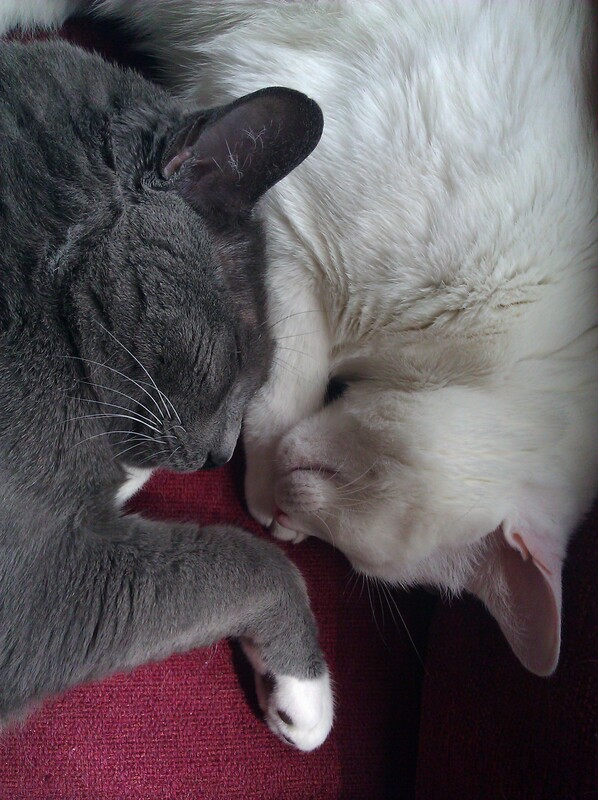 I have cats. Even though they are short-haired, they shed. I like to wear black pants (so slimming, you know). 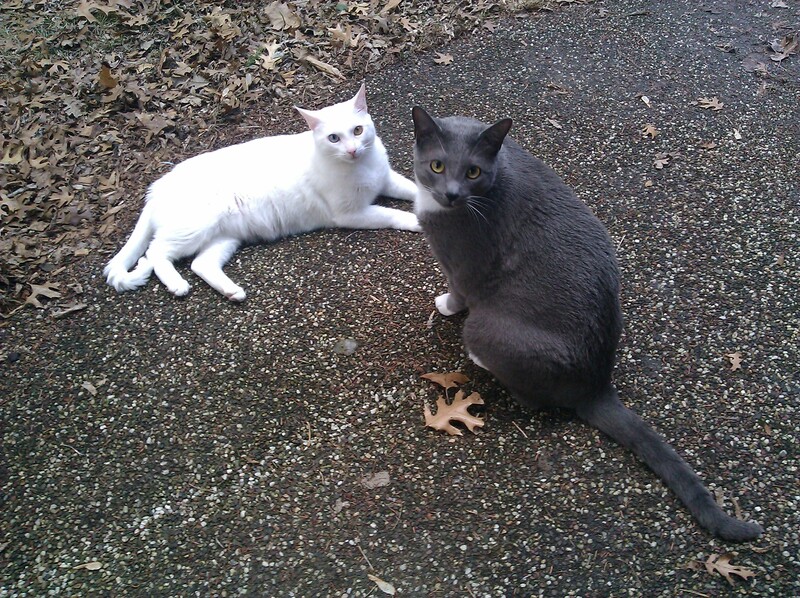 My small cat is pure white and my big cat has a white belly. Thus, renegade white hairs ALL OVER EVERYTHING, especially my black pants. So I have one of those sticky rolls of tape with a handle that you can use to de-lint yourself, and it works great. It picks up everything, even stuff I sometimes didn’t know was there. To use a simile, a metaphor is like that for your brain. Allow me to explain. Our visual cortex is more well-developed than our auditory cortex. In other words, we more quickly and easily understand things in images than we do by parsing linear sentences. If you ask me how I am, and I tell you all day I have felt like I have my shoes on the wrong feet, you can connect immediately and much more powerfully (and empathically) than if I simply say I am a bit out of sorts. And, like that sticky tape which picks up everything, you get much more information than the simple statement “out of sorts” allows. Shoes on the wrong feet brings up a wealth of interesting images and sensations. It might include awkward, stumbling, uncomfortable, tight, irritating. In a coaching conversation, a myriad of directions to explore! Because the right hemisphere of the brain thinks in pictures (as well as sounds, colors, smells and touch), I believe metaphors are one of the most amazing tools we have as coaches to integrate the two hemispheres of the brain. The right hemisphere is the side that brings to the brain what is new, but because it doesn’t have immediate access to symbolic language (words and sentences are the provence of the left hemisphere), this information is spread out all over, nebulous and unfocused and sometimes difficult to pick up, like cat hair on my pants. But when we grab an image that swims to the surface and name it (shoes on the wrong feet), we have accessed the left hemisphere’s power of focus and language without losing the right hemisphere’s subtlety and ability to know the hidden or nebulous aspects of the situation. As coaches, we know that when a client can’t focus in on what is really going on, we can’t work with the issue. However, if we only focus in and reduce things to simple statements (out of sorts), we often miss the heart of the matter. Metaphors allow us to do both, by engaging both hemispheres of the brain in a powerful partnership. Through the image, we keep bringing pieces over from the right hemisphere, which knows everything but can’t articulate it or do much with it, to the left, which says “Ok, let’s really look at this.” A good metaphor is a door into consciousness, and when my clients tell me “Oh, I am no good at metaphors,” or “I just don’t think that way,” I don’t accept it. I tell them we’re going to build the muscle, because it is key to understanding themselves. Everyone has the ability, we just need to activate it.